Mesothelioma is an aggressive disease, and many patients are left with difficult questions after receiving a diagnosis. Understanding some key facts about mesothelioma prognosis and life expectancy can help you and your family feel prepared as you begin your treatment process. Because mesothelioma is considered rare, researchers are still working to learn more about the way the disease progresses. Statistics regarding life expectancy and typical prognosis are currently being studied, and some existing statistics may change as new treatment methods become available. While there is no known cure for mesothelioma, researchers are testing new ways to extend life for those diagnosed. These new treatments have the potential to extend life expectancy past the point of diagnosis, but doctors have yet to study the long-term effects. As these therapies become more common, physicians will be able to gather data on two- and five-year survival rates. Many factors affect your prognosis, and it may look different for each patient. Some of the factors that affect your prognosis include the type of mesothelioma you have, the stage of the cancer, your health and age before diagnosis, and the unique ways your body responds to treatment. The best treatment method may be different for each patient. A mesothelioma physician will determine your prognosis and best treatment plan after analyzing all of these factors. Mesothelioma symptoms can take anywhere from 20 to 50 years to develop, and the point at which a patient is diagnosed can be very important in determining life expectancy. Many patients are not diagnosed with mesothelioma until decades after their initial exposure. Additionally, some of the most common symptoms of mesothelioma can often be misdiagnosed as other illnesses such as pneumonia or flu. It is important to seek the opinion of a doctor with specific experience treating mesothelioma. Staging is a method used by oncologists to determine how much a particular cancer has grown and developed in their patient. The stage of cancer has a meaningful impact on a patient’s prognosis. Cancers found in earlier stages are typically easier to treat and have a longer life expectancy because the cancerous cells have not spread as far in the body. Alternatively, late stage cancers usually have a poorer diagnosis and shorter life expectancy due to their aggressive advancement. The stage of your cancer determines how aggressive your cancer is, how far it has progressed in your body and whether it has metastasized to other organs, and which treatment options are available to you. There are four stages of malignant pleural mesothelioma according to the American Cancer Society. T – Tumor. What is the size and extent of the tumor’s growth? N – Nodes. Has the cancer reached any nearby lymph nodes? If so, how many? M – Metastasis. Has the cancer metastasized, or spread to other parts of the body, from the primary tumor? Because stage 1 is the earliest stage, it typically has the best prognosis. At stage 1, doctors have found the cancer in its early development, before it has had the chance to spread throughout the body and lymph nodes. In pleural mesothelioma, this means that the pleural lining — the thin layer of tissue surrounding the lungs — has developed tumors. In the later developments of stage 1 pleural mesothelioma, tumors may begin to spread to tissue in the lung, chest, or diaphragm. Lymph nodes have not yet been affected. Unfortunately, mesothelioma is rarely diagnosed at stage 1 due to the disease’s long latency period and minor symptoms until late stages. Patients are often misdiagnosed with other illnesses such as pneumonia or the flu without conducting an X-ray, which would reveal tumors in the pleural lining. Because symptoms are very minor at this stage, many patients do not see a physician or mesothelioma specialist and remain undiagnosed until much later. The survival rates for stage 1 mesothelioma are significantly higher than those of later stages. According to the American Cancer Society, around 41 to 46 percent of patients survive two years after diagnosis, and 13 to 16 percent can survive five years after diagnosis. Patients in stage 2 mesothelioma still have minor symptoms, but the cancer cells have begun to spread from existing tumors into nearby lymph nodes. The lymph nodes are used as the measurement for stage 2; once cancer reaches lymph nodes, it has officially moved into stage 2, even if tumors remain small. Again, it is uncommon for doctors to detect mesothelioma in stage 2 due to minor symptoms which can be similar to less serious conditions such as flu or pneumonia. If mesothelioma is identified at stage 2, the American Cancer Society estimates two year survival rates are around 38 percent. Around 10 percent of stage 2 patients reach a five year survival rate. The median survival rate at this stage is around 20 months with surgery to remove the tumors. By stage 3, a patient will begin to experience more severe symptoms including frequent chest pain and difficulty breathing. Patients may also begin to lose weight. At this stage, tumors have spread throughout the pleural lining and surrounding lymph nodes, as well as nearby areas such as the diaphragm, chest wall, and ribs. The spine, esophagus, and abdomen may also be affected at this stage, and some patients experience a spread of tumors into the heart sac or heart. Stage 3 mesothelioma can be considered in two divisions: 3A and 3B. In 3A mesothelioma, surgery can still be possible to remove tumors, but surgery for 3B cannot typically remove the entire tumor. During stage 3, the mesothelioma has not spread to other distant organs or lymph nodes; the cancer remains close to the primary tumor. Typically, patients in stage 3 are eligible for more aggressive treatments than those in stage 1 or 2. In stage 3A, two year survival rates are around 30 percent and five year rates are around 8 percent. Stage 3B mesothelioma has a two year survival rate of around 26 percent and a five year survival rate of about five percent. The median life expectancy for stage 3 mesothelioma is around 18 months. Generally, a mesothelioma prognosis is poor at stage 4 because it is the most advanced stage of the disease. By this time, symptoms may worsen. Patients may experience fever, trouble swallowing, fever, fatigue, and shortness of breath in addition to chest pain and other symptoms. At this stage, it is unlikely that surgery will be able to remove all tumors, but some surgeons may perform smaller surgeries to alleviate breathing difficulty. There are other less invasive surgeries at this point that can help a patient reduce pain and breathe easier by draining fluid from the chest, abdomen, and area around the heart. At this latest stage, the tumors spread aggressively. The median survival rate is around 12 months after diagnosis. Facing a mesothelioma diagnosis can be difficult. Reach out to a mesothelioma specialist to ensure the best possible care and the most accurate information about your prognosis and life expectancy. Because mesothelioma and treatment affect each person differently, only your doctor can tell you what you might expect after receiving a diagnosis. Mesothelioma is aggressive, especially in its late stages. For this reason, many doctors advocate early screenings for those who believe they may have been exposed to asbestos. The most common exposures happen in the workplace, primarily affecting pipefitters, construction workers, plumbers, and bricklayers, among other industrial professions. Seeking asbestos litigation can help you and your loved ones find a sense of mental and financial peace during a challenging medical situation. 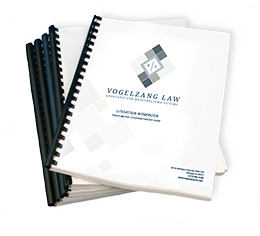 Learn more about the Vogelzang Law team.